Within the same vicinity of the popular Alfred Tea Room in Melrose lies a hidden oasis for all women to get their pamper on. 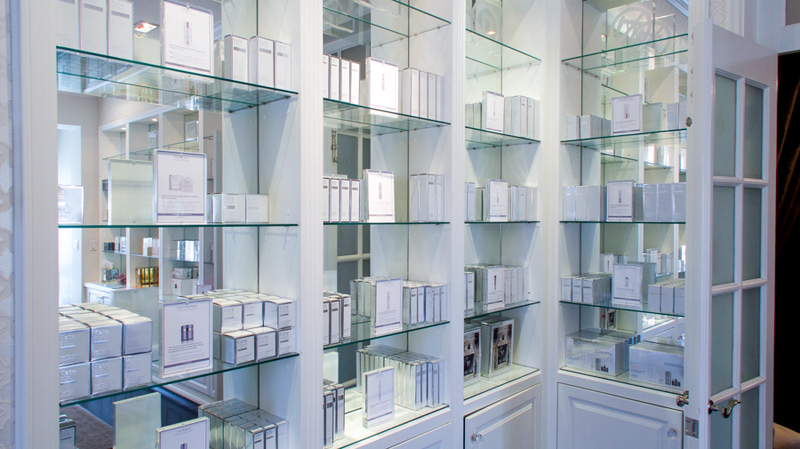 This spa heaven is otherwise known as the one and only Kate Somerville Clinic. Earlier this week, I was cordially invited to receive a facial at their beautiful headquarters and I wanted to give you guys the inside scoop of this recent "treat yo self" experience! I was greeted by #interiorgoals as soon as I walked through the front door. Minimal white walls, hanging crystal chandeliers, and beautiful blooms served as strong enough indicators to make their guests feel at home. Walking up the Cinderella-esque spiral staircase, I eventually made it to the front desk and was checked-in almost immediately by a friendly and cheerful employee. When 3:15PM rolled around the corner (I arrived an hour early to avoid that LA rush hour traffic from OC! 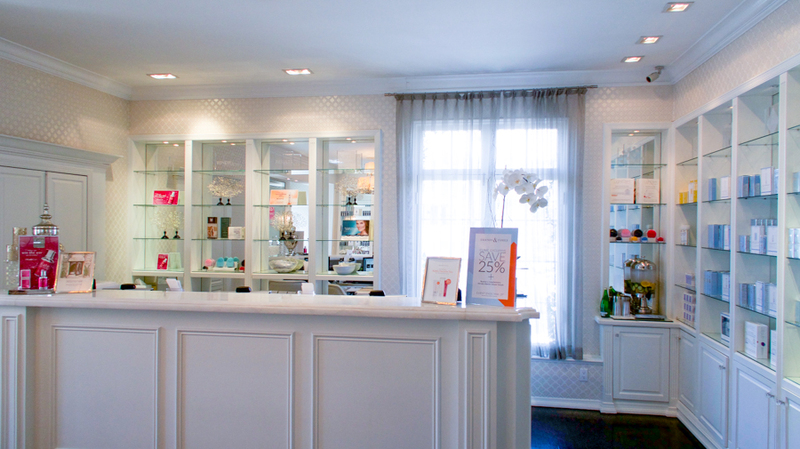 ), my esthetician, Kelly, led me to my private oasis of a room. Here, I changed out of my clothes into a fresh white robe before snuggling under the clean linen sheets on my spa bed. When it comes to any procedure, I prefer to know the details of what will happen from beginning to end - in other words, the whats, whys, wheres, and hows. Without even asking, it was like Kelly could instantly read my mind. She would clearly explain what tools she was using in the moment and what types of creams or lights she was applying throughout the entire process. With her detailed explanation, I took home a greater understanding of my facial so that I could share my facial experience with you guys. Long story short, we first began with the exfoliation process. Kelly exfoliated my skin with a metal spatula, which removes dead skin and impurities from the surface of my face. Following the exfoliation step, she gently massaged my face with several serums and creams before starting the extraction process. Like they always say, beauty equals pain. I've experienced enough facials to know that extractions do hurt, but trust me when I say that it's a good type of pain. The point of an extraction is to clear a clogged pore by removing fluid or pus that might eventually lead to the development of a pimple. Once the painful part was over, Kelly applied a peel to my face that she customized to my sensitive skin before shining a blue and red light under my face for 20 minutes. She informed me that these lights removed bacteria from the surface of my skin. Before I knew it, the 20 minutes flew by at lightning speed. P.S. For those Yelpers out there, be sure to check-in to The Kate Somerville Clinic on your mobile app to redeem one free travel-sized product!